Ninety years ago, an Assemblies of God missionary couple arrived in Singapore. While surprised by their destination (they thought the boat was bringing them to Hong Kong), their decision to stay and serve this nation has borne much fruit. Over the years, the Assemblies of God of Singapore (AG Singapore) has grown from strength to strength as over 22,000 members in 44 churches live out the denomination’s four core beliefs of salvation, baptism of the Holy Spirit, divine healing, and the second coming of Christ. 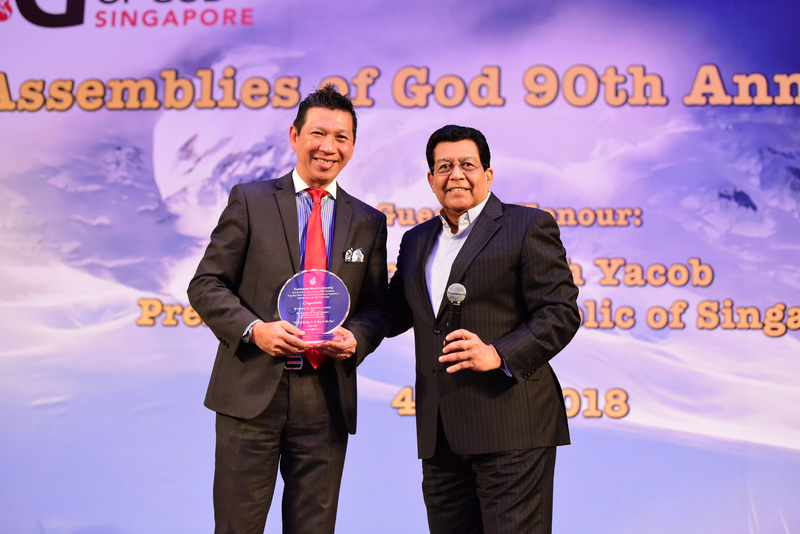 On May 4, 720 guests celebrated God’s faithfulness upon The Assemblies of God of Singapore (“AG Singapore”) with a 90th anniversary dinner at Orchid Country Club. In an atmosphere of praise and thankfulness, we were privileged to have the President of the Republic of Singapore, Halimah Yacob, as our Guest of Honor. As part of the celebration, AG Singapore presented SGD 90,000 to four self-help groups so that financial assistance could be provided to underprivileged students throughout the nation. "I believe the leaders of tomorrow are the leaders of today. As such, I pray the financial assistance sown by The Assemblies of God of Singapore will sow a seed of hope for these students, regardless of race and religion, so that they will have an equal opportunity to discover their potential and move toward the fulfillment of their dreams." 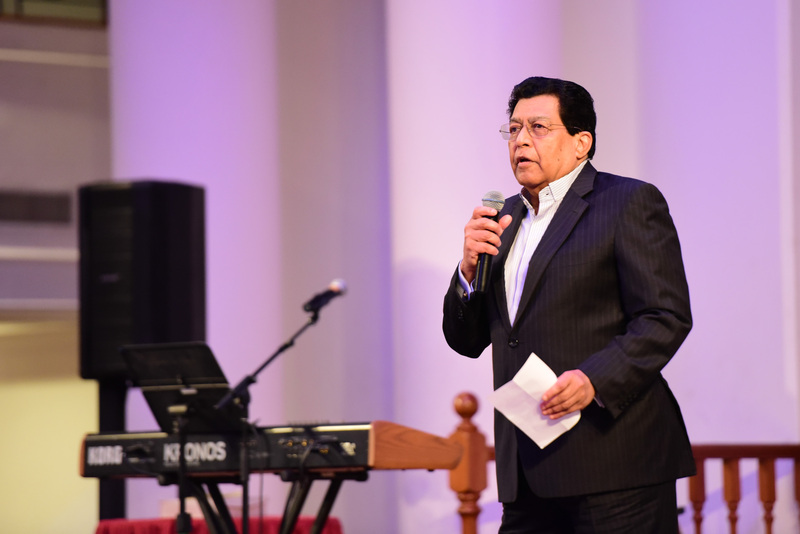 We were also honored to have Rev Dr Prince Guneratnam (Chairman, Pentecostal World Fellowship) with us that night to share a congratulatory message and present a memento commemorating this milestone for AG Singapore. As we forge into our centennial anniversary, we do so with a spirit of unity and desire to see transformation in our land. May we endeavor to do all things together for the glory of God.